The Repair Stem Cell Institute (RSCI) issued a press release yesterday announcing that it will assist patients interested in taking part in a clinical trial based in the United States for the treatment of Chronic Obstructive Pulmonary Disease (COPD). The FDA approved and compliant trial, which uses adult stem cells, will be conducted only during January 2014 in the U.S. states of Florida and Georgia. The trial is being conducted by the U.S. based company Numed/BioHeart, which has assembled a team of doctors and specialists specially trained in stem cell treatments. Based on previous treatment of COPD with stem cells, it is estimated that two-thirds of participants will experience significant quality of life improvement and symptoms reduction. "With stem cell treatment rapidly coming to the forefront of 21st Century medicine, we are pleased that COPD is among over 150 chronic conditions that are treatable with adult stem cells rather than potentially risky surgery, dangerous transplants, and toxic drugs." said RSCI founder and Chairman Don Margolis in a recent interview. Any patient suffering from COPD who is cancer-free can apply to the trial. Adipose Harvest: During a 3-5 hour visit to the doctor’s office, a mini-liposuction on One's stomach will extract a small amount of tummy fat containing tens of millions of adipose stem cells. Laboratory Processing: The extracted stem cells will be isolated, analyzed, and concentrated. Stem Cell Implantation: Up to 60-70 million stem cells will be transplanted intravenously, usually in their arm. Because these are the patient’s own cells, the risk of rejection can be excluded. Postoperative Care: Normally, patients can leave right after implantation. It is expected that participants will be available for follow-up evaluations for one year. The cost to each participant in the January trial, including all treatments and follow-up care, is U.S. $5,000. The same procedure can be done any time at approved stem cell treatment centers worldwide, with an estimated cost of $12,000 – 15,000. Those interested in participating in this trial should contact the Repair Stem Cell Institute as soon as possible since participation is limited to 100 COPD patients. 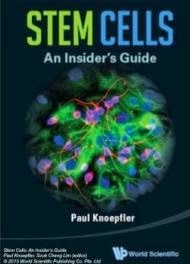 Stem cells are unique, unspecialized cells in the body with the ability to differentiate into specialized cells for specific organs or develop into tissues. To date, commercial stem cell treatments have been used by over 30,000 patients with a success rate over 65% for more than 150 debilitating chronic conditions. "I can’t believe how I am feeling. When I first went for stem cell treatment, on a scale of 1 to 10, my breathing was a 4. Today, two weeks later, I’m a solid 7." said a patient who has already benefited from COPD treatment with this same procedure. A full list of diseases stem cells can help can be found on the website of the Repair Stem Cell Institute, often called “The Voice of Stem Cell Science.” RSCI is the world’s only stem cell patients’ advocacy group and is committed to assisting people to make educated choices about their medical conditions and treatments. For more information about adult stem cells, stem cell treatment, diseases stem cells can help, and the top international stem cell treatment centers, please visit the Repair Stem Cell Institute website. Chronic obstructive pulmonary disease, also known as chronic obstructive lung disease (COLD), and chronic obstructive airway disease (COAD), among others, is a type of obstructive lung disease characterized by chronically poor airflow. It typically worsens over time. The main symptoms include shortness of breath, cough, and sputum production. Most people with chronic bronchitis have COPD. Tobacco smoking is the most common cause of COPD, with a number of other factors such as air pollution and genetics playing a smaller role.